Lawns have the ability to generate horticultural hysteria. A symbol of British gardening, they replicate the parklands of country estates, and it’s easy to be consumed by them. Last year I met Stuart Grindle in Doncaster, who is believed to keep the UK’s best lawn. It’s a thing of beauty but hungry for chemical fertiliser and water, and by his own admission Mr Grindle is enslaved by keeping it immaculate, sometimes cutting grass several times a day. I’m treading old ground here, but the greener the lawn, the less green it is. As flourishing ecosystems, lawns fail. First they’re monocultures taking up space that could be dedicated to growing important stuff; next they support few other species in an age when we’re making green space work harder for biodiversity. And keeping them immaculate takes shedloads of chemicals and water. Climate change could be the decider, the flipside of flooding being summer droughts and hosepipe bans. Warnings over the viability of the nation’s lawns have come from the Centre for Horticulture and Landscape and the Royal Horticultural Society. However, they are much better than paved-over areas (helping to slow down water and prevent flash flooding) and, as the US Center for Turfgrass Science points out, lawns stabilise soils (preventing soil erosion). The old gas-guzzling mowers emitted air toxins and created noise pollution. They also evaded environmental controls until standards emerged in the early 2000s. 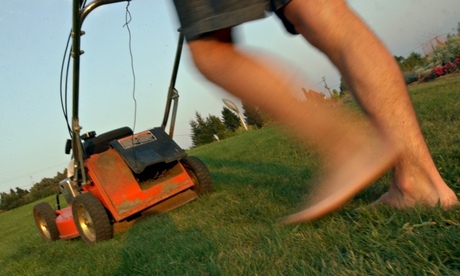 UK emissions from gardening machinery are likely to have dropped off a little from the mid-90s. But it is still a significant amount. So, well done to you for investing in a greener machine. From the options you’ve sent, I’ll plump for the rechargeable Bosch Rotak lithium-ion cordless over the mains-powered model. Lithium ions were first used as a source for power tools in 2003 (with screwdrivers) and a good deal of progress has been made. This model is up to 30% more efficient than a conventional DC motor and weighs 40% less than typical cordless mowers with gel batteries, and you should get 10 years of battery life with regular usage. Naturally, the lithium ion battery comes with an environmental burden and is classified as “mildly toxic”, but all things considered, this is the best option given that you don’t want to pass on grass. If you care about making your wardrobe more sustainable (and you should) it’s heartbreaking to find your precious fabrics, suits and woollens destroyed by moths. A dearth of winter frosts mean now is the time to act. Thankfully we do not have to subject our homes to the toxic whiff of camphor or naphthalene. Stacy Marking’s range of Lemongrasstrading.com products are effective and 100% natural, and actually smell good. Marking came across lemongrass essential oil in India and realised how effective it was at warding off moths, who hate it. 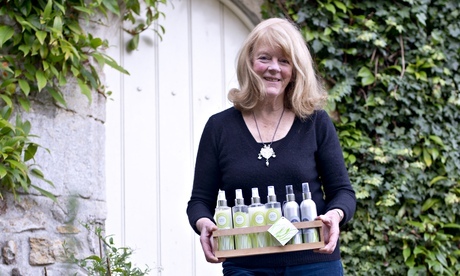 She now sources the finest lemongrass direct from Kerala and combines a full set of products, from drawer liners to sprays, with common-sense good advice on how to store your clothes and give your wardrobe a spring clean.